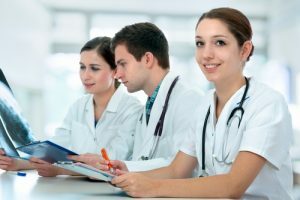 Which Nursing Program in Miami Should I Choose? FNUAcademic Advising BlogWhich Nursing Program in Miami Should I Choose? If you’re thinking of enrolling in a nursing program in Miami, but are undecided on which type of program to enroll in, the first thing you need to do is conduct a bit of research. Choosing a college program of any kind is nothing to take lightly. It’s an investment of your time and resources, so it’s best to educate yourself on the types of nursing programs that are being offered in the Miami area. The options are plentiful, so the most strategic way to start your hunt for good nursing programs is to look at the colleges and universities. Because if you don’t like the school, how will you enjoy learning what you’re passionate about? While the larger universities will be the most obvious ones to gravitate to in the Miami area, you might want to consider some of the smaller ones. There are many advantages to attending a smaller educational institution, especially if you’re pursing a nursing degree. With a smaller university, you’ll have a better opportunity to get personal attention from your professors. With larger universities, professors’ class sizes are bigger. They have more students and as a result can only commit less time for one-on-one meetings. As a nursing student you want to have an instructor who is available to answer any questions you may have. In an industry such as this, there’s no room for guessing or assuming. The healthcare industry is about caring for people, but it’s important to understand that it’s also a business that’s providing a service—which is healthcare. And like any business that provides a service, healthcare facilities are liable for the well being of their patients. As an aspiring nurse, it is your duty and responsibility to see that your patients receive the utmost professional care. If for any reason the patient feels that this was not the case, he or she has the right to pursue legal action. The best way to avoid these kinds of uncomfortable allegations is to make sure that you’re well informed as a nurse. A good way to get started on that is to pursue the best education possible. By doing this, you’ll not only be more confident in what you’re doing, your patients will be happy too! Once you’ve chosen the university you’re interested in attending, then you can really get into the actual purpose of your search—finding a good nursing program that’s suitable for you. There are many different types of diplomas and degree programs you can enroll in. With Florida National University (FNU), a regionally accredited university in South Florida, there are three types of nursing programs: the Associates Degree in Nursing (ADN), Bachelor’s in Nursing (BSN), and Master’s in Nursing (MSN), or RN to MSN (MSN). What’s the Difference Between These Nursing Programs? It really depends on your personal goals when deciding which nursing program to enroll in. The ADN is going to take the least amount of time, but may not be enough to help you land that executive administrative job in the healthcare sector you might want. The BSN is going to give you all the preparation needed to become a registered nurse and the master’s program is going to help you excel to those higher-level decision-making positions that can often make a big influence on how certain healthcare practices are conducted. Let’s take a closer look at these nursing programs to get a general idea of what makes each of them unique. Nursing (ADN) – This program is designed to prepare students to become licensed registered nurses. The ADN program offers a solid curriculum that includes pre-requisite science courses such as Psychology, Chemistry, Microbiology, and Anatomy & Physiology. Students will be better prepared to proceed to the core nursing courses, such as Fundamentals of Nursing along with Health Assessment, and Nursing Pharmacology. Next, students will take courses that will give them a close, in-depth look at different specialties such as Medical-Surgical Nursing, Pediatric Nursing, Maternal and Infant Nursing, Psychiatric Nursing, and Community Nursing. Students also take a Nursing Leadership course that hones in on the students’ prioritization, critical thinking, and delegation skills in order to become successful members of the interdisciplinary healthcare team, ready to work in multi-specialty areas or in community settings. Nursing (BSN) – As most nurses with an ADN and BSN may have the same starting pay, the BSN is likely to be qualified for more administrative positions. The advantages of investing your time and money into a BSN will be that it’ll provide you with a better return on the investment for your education. With a BSN, you will not only be better prepared to take on more responsibilities, you’ll also be one of the candidates that your superiors will look to promote. The core courses offered in the FNU’s BSN program delve deeper into the fundamentals of nursing that will help make you more qualified to work in other areas of the healthcare industry. Nursing (MSN) – This master’s program is designed to build on the bachelor’s degree. At this level, students will have already completed a certain amount of clinical hours having enough experience to apply what they have learned toward these advanced-level courses. The master’s degree is most helpful for students who aspire to land a career in upper management. FNU’s MSN degree gives students the option to concentrate in specialties like Nurse Educator, Nurse Leadership and Management, and Family Nurse Practitioner. Each of these concentrations requires a total of 18 credit hours. The advanced core courses will focus on nursing theory and research, as well as health assessment, pathophysiology, and pharmacology. While both the ADN and the BSN program will prepare graduates to sit for the same NCLEX-RN examination upon successful completion of the program, the ADN graduate can join the workforce sooner and in most cases pursue a shorter, more cost-effective BSN program fully online, such as the one offered at Florida National University. Another advantage of completing an ADN degree, becoming a licensed registered nurse, joining the workforce, and then pursuing a BSN degree, is that many healthcare organizations will even provide financial assistance to their ADN-prepared registered nurses to go back to school to pursue their BSN and beyond. RN to MSN (MSN) – The RN to MSN track is designed for registered nurses and foreign physicians. The same core courses as the MSN are offered, but the credit hours differ. Consult your advisor about the recommendations. View each of FNU required courses in the ADN, BSN, and MSN here. Another important factor in selecting your nursing program is making sure that the university you’ve chosen is accredited. It’s in a student’s best interest to ensure that their school has been verified by the Southern Association of Colleges and Schools Commission on Colleges (SACSCOC). 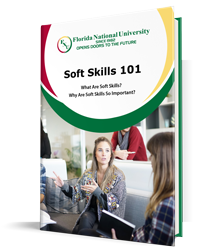 SACSCOC’s mission is to “improve the quality and effectiveness of its member’s institutions.” FNU has met these qualifications so students can rest easy knowing that they’re getting the best education in the South Florida area. The BSN program is also accredited by the Commission on Collegiate Nursing Education (CCNE), 655 K Street, NW, Suite 750, Washington, DC 20001, 202-887-6791. Do Your Research and then Decide! Going to college is a big step. So, you want to make sure that you’re making the right choice. Be sure that you know what your options are before enrolling into a nursing program. FNU has campuses in Hialeah and Miami along with an online and training center. Read about other useful information that our university has to offer here. Contact any of our locations for information on how you can become an FNU student today!